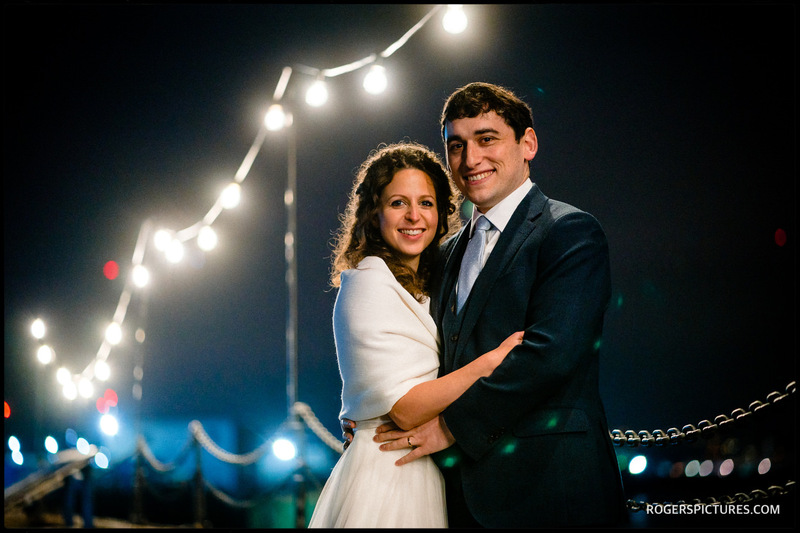 Katie and Michael’s Jewish wedding at Trinity Buoy Wharf was a super way for me to end the year! The day before New Year’s Eve and my photography started with Michael at the Good Hotel with his parents and brother. It’s a fabulous floating hotel right opposite the Crown Plaza where Katie and her sisters were getting ready. So it was a good way to start the story with both sides of the wedding prep covered. 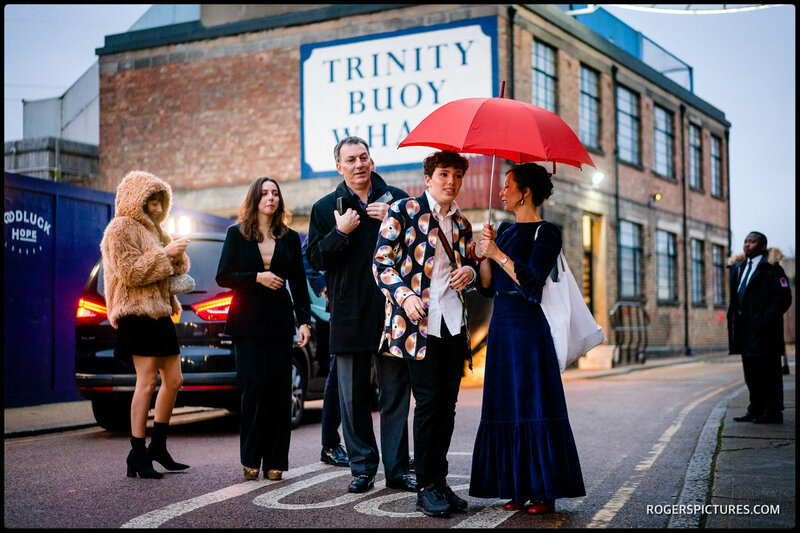 It was then a short trip over to Trinity Buoy Wharf for the wedding ceremony at the Electrician’s Workshop. 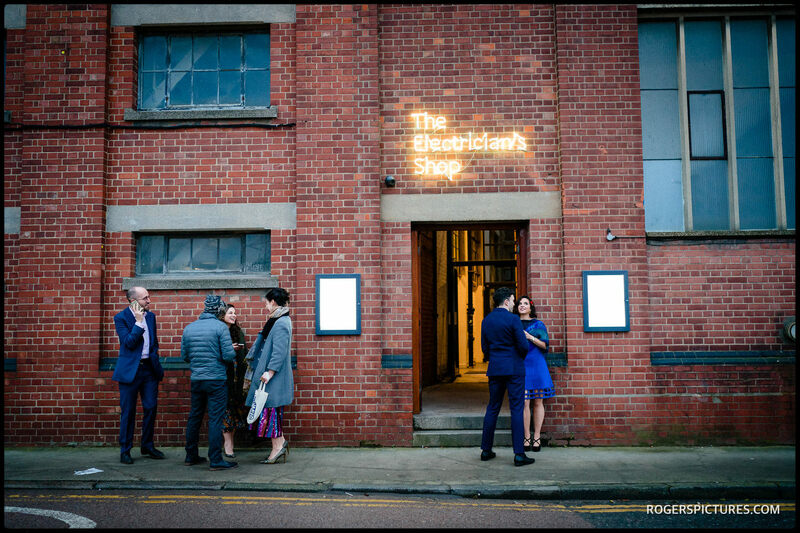 I’ve had the pleasure of photographing a wedding at Chainstore and was looking forward to getting back in there for the evening dinner and dancing, but the Electrician’s Workshop was a new location for me. This industrial setting was first built in 1835 and the exposed brickwork and steel pillars give it a unique look. With the ceremony starting at 4pm in December, it was always going to be a challenging shoot, light wise. But the fairy lights round the pillars added some high quality, low intensity light, and I wanted to retain the feel in the photography, so I didn’t use any artificial light or flash. Katie arrived for the Bedeken in a side room, where the couple saw each other for the first time that day. 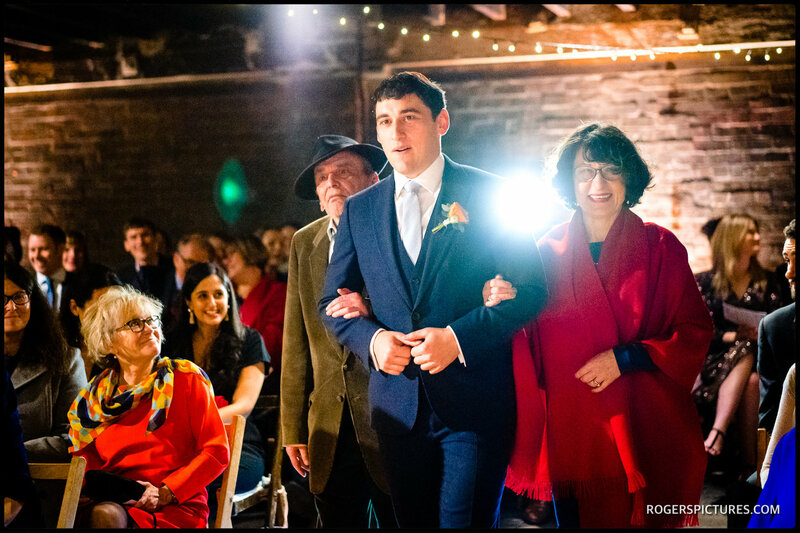 The family then joined the rest of the guests in the main room for the marriage ceremony under the Chuppah. After the ceremony we shot a few family group photos before a quick couple portrait session around the venue. Of course this involved the fabulous lighthouse at Trinity Body Wharf! Then it was time for the Israeli dancing back in Chainstore. 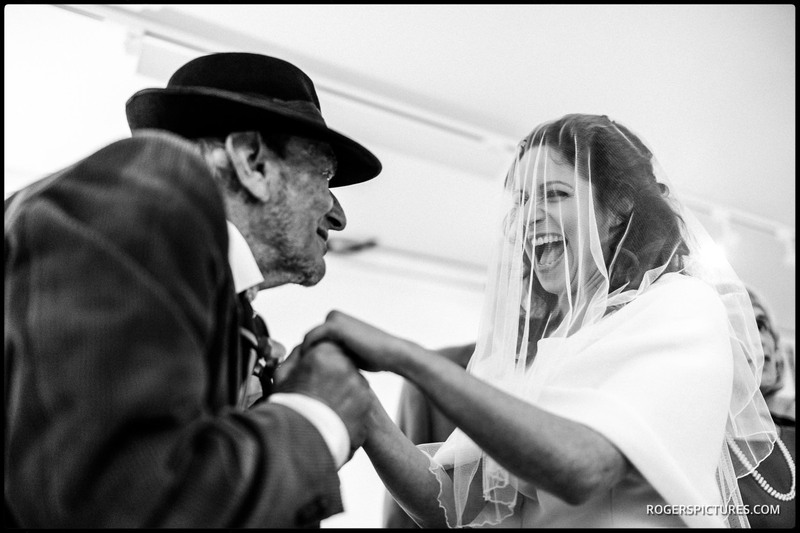 It’s easily my favourite thing to photograph at a wedding, and Katie and Michael’s didn’t;t disappoint! There were then some amusing and heartfelt speeches before dinner and even more dancing. Check out some of my favourite shots in the slideshow above. 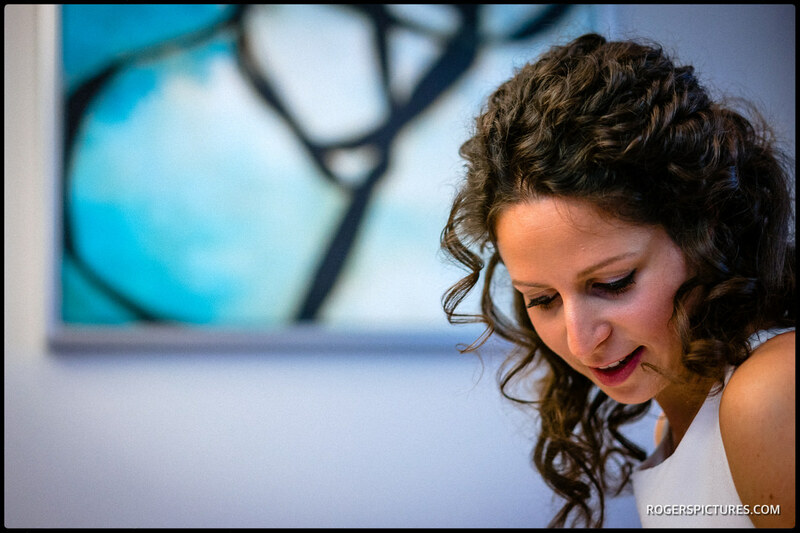 You might also like to see this Hatfield House Jewish wedding, or perhaps some wedding photos at Wasing Park. If you’d like more information about my photography, please get in touch. 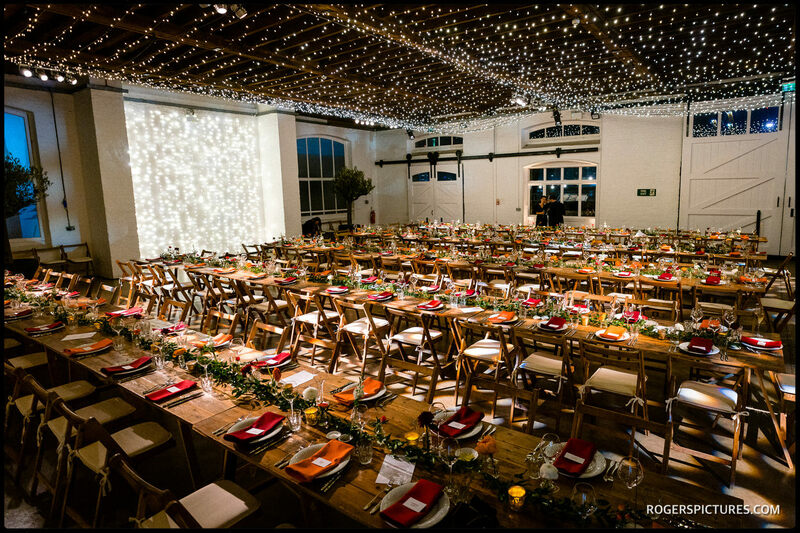 As a London wedding photographer, this is one of my favourite venues to work at! 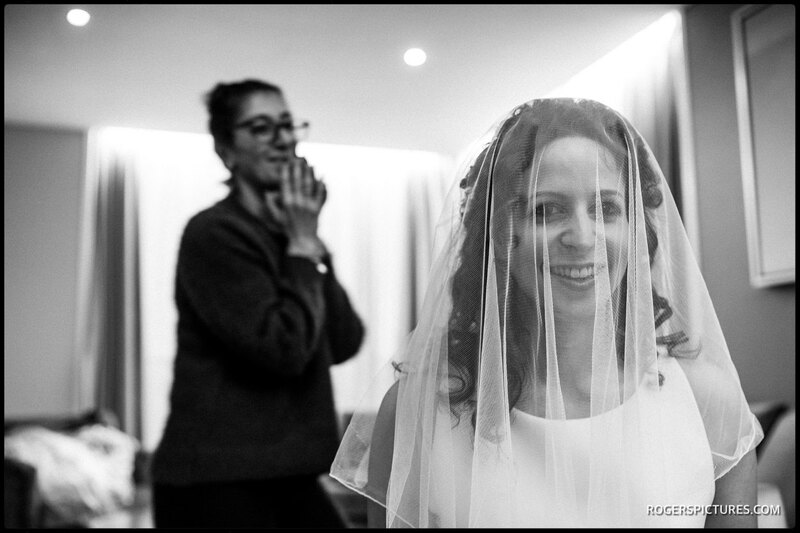 This is a beautifully edited video which really captures the moment of this Jewish wedding. I love the angles you’ve used – it makes me as a viewer feel like I was there. Also some great moments of emotion!